We can all take a break from being disappointed in the disingenuous comments made by the Pope, and turn our attention to this story on Al Jazeera. Iranian President Hassan Rouhani has publically recognized the Holocaust, describing it as "reprehensible" in translated comments later disputed by Tehran’s semiofficial FARS news agency. Breaking from years of denial by his hardline predecessor, Mahmoud Ahmadinejad, over the Nazi massacre of 6 million Jews, Rouhani acknowledged the killings but suggested that it was up to historians to determine the scale of what happened. "I am not a historian, and when it comes to speaking of the dimensions of the Holocaust it is the historians that should reflect," Rouhani told CNN in an interview Tuesday when asked whether or not he believed, as did his predecessor, that the Holocaust was a myth. "But, in general, I can tell you that any crime that happens in history against humanity, including the crime the Nazis created towards the Jews, is reprehensible and condemnable," he said, according to CNN's translation of his comments, during a visit to New York to address the United Nations General Assembly. On the one hand, these comments are heartening; it was only about a year ago today that Mahmoud Ahmadinejad appeared on Piers Morgan and refused to acknowledge the existence of the Holocaust. 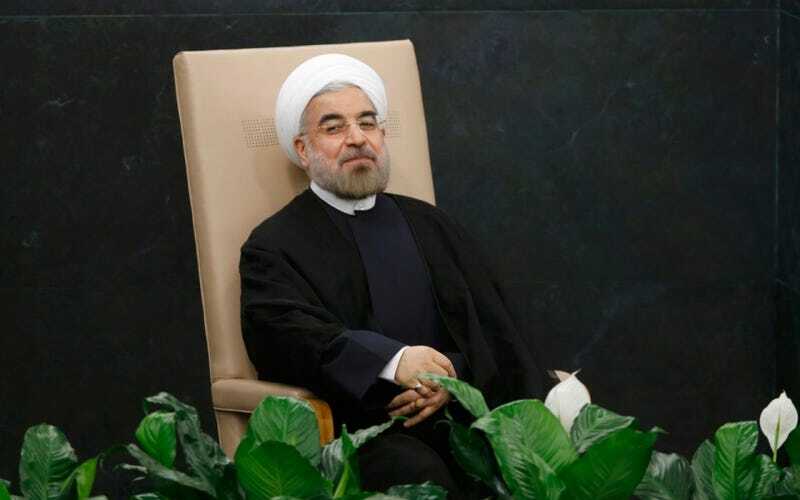 On the other, Rouhani's comments regarding the scale of the Holocaust smell faintly of a desire to minimize the seriousness of it, or to suggest that it wasn't as bad as the historical consensus proposes. While it's certainly true that the matter is one for historians to investigate, I think we should be cautious about taking too much away from this interview. "Whatever criminality they committed against the Jews we condemn," Rouhani told CNN. "The taking of human life is contemptible. It makes no difference if that life is Jewish life, Christian or Muslim. For us it is the same." But Rouhani went on to take a swipe at Israel. "This does not mean that on, the other hand, you can say 'Nazis committed crimes against a group, now therefore they must usurp the land of another group and occupy it,'" he said. "This, too, is an act that should be condemned. There should be an evenhanded discussion."